Orthotopic tumor models have many advantages over subcutaneous counterparts, including recapitulating organ-specific tumor microenvironments, and allowing assessment of disease progression and metastasis. However, orthotopic and/or metastatic model utility can be impacted by difficulties in assessing tumor burden and therapeutic response in deep lying organs. This is overcome through bioluminescent imaging (BLI) of these models using luciferase-transduced cell lines. 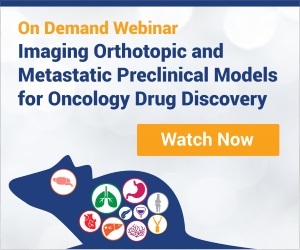 In this webinar, Dr. Rajendra Kumari will discuss the value of orthotopic/metastatic models in preclinical research. She’ll highlight the many benefits of optical imaging when applied to orthotopic/metastatic models for evaluating novel anticancer agents. After receiving her Ph.D from the University of Leicester in Molecular Pharmacology, Rajendra joined the lab of Prof. Sue Watson as a postdoctoral fellow in the Division of Pre-clinical Oncology, School of Clinical Sciences, University of Nottingham (UoN). 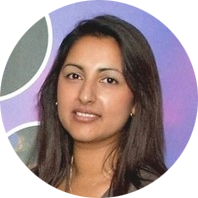 In 2005, Rajendra took the role of Project and Business Manager of the Preclinical Oncology Services (PRECOS) contract research business unit where she built up and managed the portfolio of preclinical in vitro and in vivo projects, products, team and clients, as well as marketing and developing the commercial processes of PRECOS. Rajendra’s expertise in cancer cell biology and model development helped to build PRECOS, develop an academic career as a lecturer in the School of Clinical Sciences, as well as co-founding the Ex Vivo Pharmacology Centre of Excellence (UoN), which recapitulates the tumor microenvironment through use of clinically-derived tissue. Rajendra was pivotal in the growth of the business unit and commercialization of research which led to the establishment of the spinout of PRECOS Ltd in 2010, acting as Chief Operations Officer, Board Director and co-founder, until merger with Crown Bioscience in July 2013. Rajendra acted as GM/CSO for CrownBio UK for 4 years, and is now the Global Head of Scientific Communications across CrownBio, providing scientific guidance and communications on company products, services, and R&D. Rajendra is a member of the American Association of Cancer Research, British Association of Cancer Research, the NC3Rs Cancer Research Advisory Group, and has authored over 40 abstracts and publications.